Has anyone else run into issues with the removal of the 'Move To...' button from the Blackboard Basic integration on June 19, or found a good work-around? 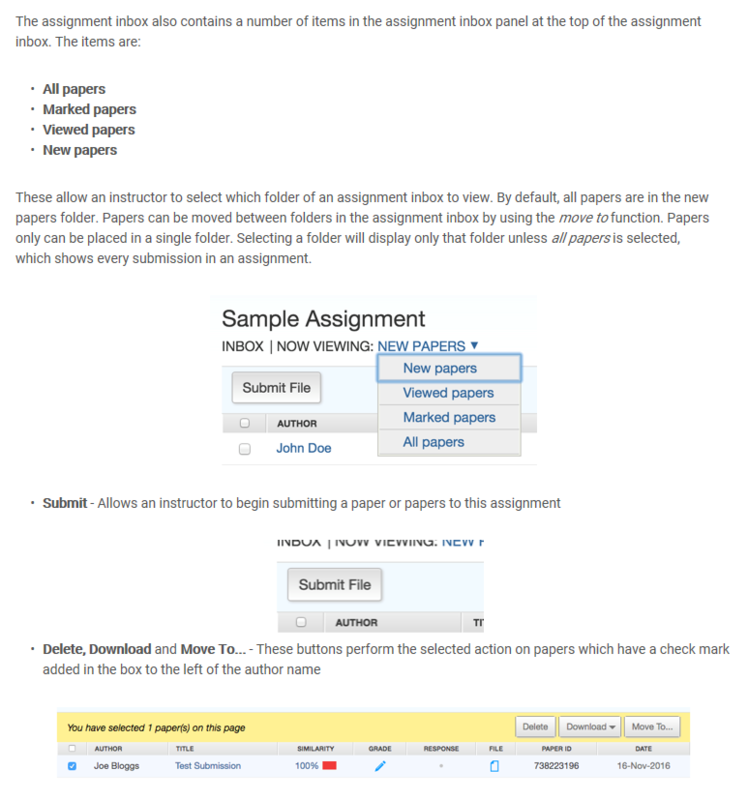 Our staff have been using the 'Move To...' button for years to move papers between folders in an assignment inbox - as described in the Blackboard Basic Instructor User Manual (see image). Oddly, the Blackboard Basic Release Notes for June 19 state that the reason for removing the 'Move To...' button is that "the ability to move papers between assignments is not an active feature in Blackboard Basic and should not have been visible in the Basic integration". But we don't want to move papers between assignments, we just want to move papers within a single assignment - which is the button's function, according to the User Manual!